In spite of the overwhelming odds, millions of Africans, young and old, gather wherever possible, eager and willing to be educated. But, alas, the basic rudimentary tools of education – books, pens and pencils – are seriously lacking. 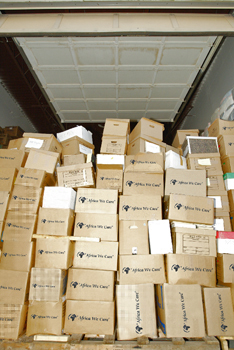 We have accumulated and boxed more than 300,000 books generously donated from all over Alberta. We would like to get these books to Africa where there are enthusiastic students eagerly waiting to put them into productive and gainful use. Click here to read a survey of the poor standards in five local primary schools: Nkondo, Kaiso, Tonya, Kyehoro, and Nyawaiga situated on Lake Albert in the Hoima District of Uganda. The survey was conducted by Tullow Oil as a part of their corporate social responsibility for the area of their operation. 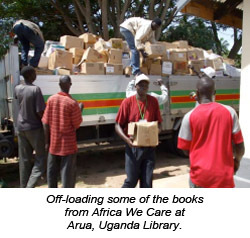 Ms. Susan Sutton of Neptune Petroleum (Uganda) Ltd. requested for the book donation from Africa We Care. 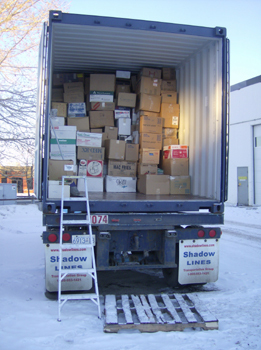 On December 17th, 2007, a 20-foot container loaded with books and school supplies left our docks in Edmonton for Uganda, facilitated by PL& B Insurance, an Alberta company. 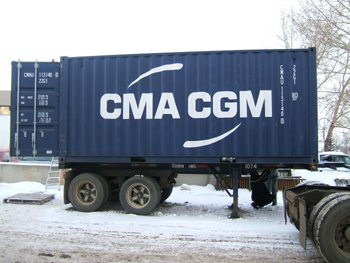 Thank you so much for your wonderful donation of the container of books for the Neptune Visitors Centre/Library in Arua, Uganda. The looks of delight and smiles of appreciation would have warmed your heart. Our company had previously renovated the government library, replaced the roof, installed electricity and provided furniture and shelves. Your gift completed the project and will bring joy to thousands. And we informed the press of the valuable contribution that “Africa We Care” is making to Uganda. 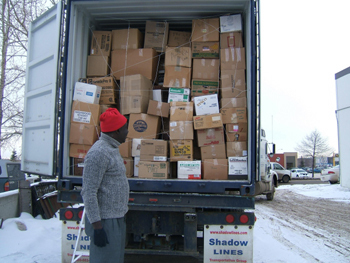 As a Canadian working in Uganda, I was pleased to see recycled boxes and I explained the aim in our country to recycle boxes and paper. Perhaps we can encourage that initiative here as well. Thank you again on behalf of the people in northern Uganda. I was pleased to learn about your impending visit to Uganda. The people of West Nile appreciated the support Africa We Care extended to them through Neptune. 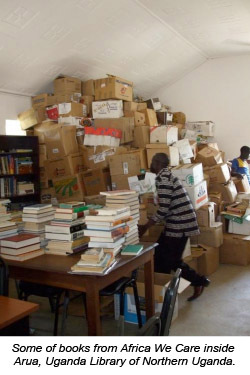 Moyo Public Library in Moyo district also benefited from this support when we donated to them 25 boxes of text books. 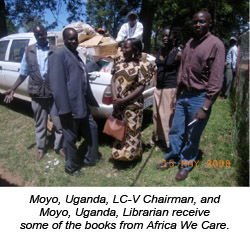 The Moyo District Chairman (LC-V) was present and very thankful to Neptune and Africa We Care. Please find attached some pictures taken during receiving and handing over the books. I will be glad to see you in Uganda soon.